The first Cos album, Postaeolian Train Robbery, was rereleased by Musea several years back. With its zeuhl-inspired sound, offbeat jazz sensibility, and the amazing vocal talents of Pascale Son, it is rightly considered among the better testaments to the 70s French progressive scene. 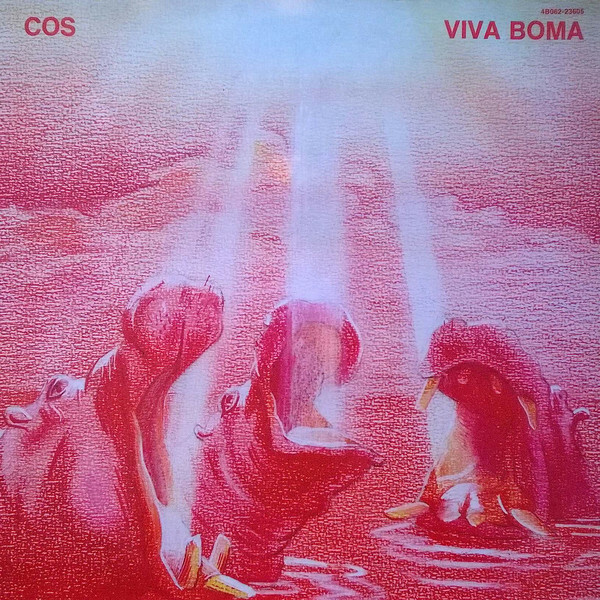 Now, at long last, we have the rerelease of the band's second album, Viva Boma, complete, as was the first release, with a substantial helping of tasty bonus material. The lineup on Viva Boma retains most of the core members from the first album, adding a new keyboardist and some other incidental guest musicians. From the first notes, though, the band shows just how much it had matured since its debut. While maintaining the same overall sound as their first release, Viva Boma displays a greater abundance, variety, and quality of musical ideas, along with a much more sophisticated sense of song development. Whereas each piece on Postaeolian Train Robbery sought to exploit a single sound, feel, or harmonic mode, this album is ripe with tracks which swing freely from brooding zeuhl-influenced atmospheres to more nimble and cheery Canterbury style fusion. Imagine something halfway between Zao and Hatfield & the North, with a touch of that distinctive French-progressive dramatic flair and enough originality to sound far from derivative of any particular band or style. Viva Boma is striking not just in how much it improves upon the band's first, already solid, release, but also in how well it stacks up against the best of any of the bands Cos might be compared to. A fantastic album by any measure, this is the caliber of rerelease that only comes along a few times a year. Don't miss it. Here we have Musea’s reissue of the second Cos album, recorded in 1976. In addition to the original album Musea included four bonus tracks recorded in Cos’ rehearsal room on a 4-track recorder. As a result, "Mon Rebis," "Reine de la Vallée," "Nog Verder (Demo Version)," and "Fanfan la Tulipe" sound a bit muddy but the band's energy and musicianship shine through. Viva Boma is quite an interesting album. It opens with "Perhaps Next Record," a pleasing little ditty of gurgling electronics, synths, and guitars very much in line with the late 70s. Cos then proceeds to entertain you with sublime to complex jazz-rock arrangements combining elements of Soft Machine, Magma, and Zao. Adding to the mystique of the music are Pascale Son’s airy vocals and wordless chanting. High points for me are "Flamboya," with its killer bass work and Frippertronics bubbling in the background and the demo version of "Nog Verder." Whereas the studio version from the album is relatively calm, the demo version is an energetic jam worthy of Magma. As usual Musea reproduced the original album artwork and included extensive band history notes and photos to complete the package. Viva Boma is reissue of note from the formative 70s.